“Chérie, je vais à Charlie” or “Darling I am going to Charlie”, is the title of the book I am currently reading and it is written by Maryse Wolinski, the widow of the prominent French cartoonist, Georges Wolinski, who was assassinated on January 7th together with other 11 members of the Charlie Hebdo team. Those were, as you can imagine, the last words he said to his wife, before leaving their apartment to go and meet his colleagues at Charlie Hebdo and short time later his assassins. I met Maryse Wolinski sometime after the attack, when I had an interview with her in Paris about that book and about her feelings and explanations on that case. 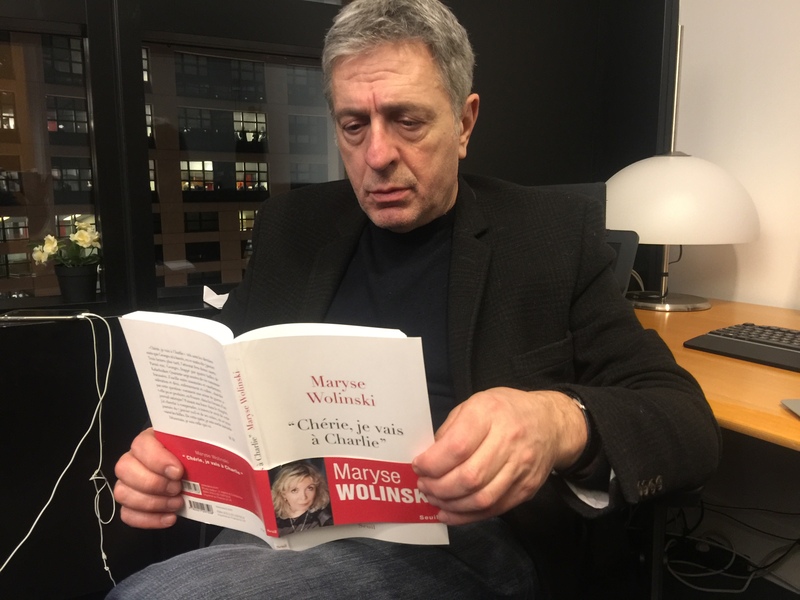 Few days ago, on January 12th, she was one of my guests at the tribute I organized in the European Parliament to Charlie Hebdo, the freedom of expression and the political humour.